Bekir Ben is a 49-year old Tunisian painter and sculptor. He arrived in Italy 26 years ago, his talent discovered by Italian artists who had admired his work at a hotel in Tunisia. Since then, Bekir has started his adventure as an artist, travelling from Rome to Palermo, where he has been living with his family for over 10 years now. He works in his community with a working permit, vying to inspire happiness and dreams through the images he creates. Although he is Muslim, he also works as a sculptor of Christian sacred art for the Mission hope and charity of Palermo missionary Biagio Conte. ''I'm forgotten in Tunisia now" - he told InfoMigrants - "Italy is my country now and the place where I learned, with sacrifices, to build my little dream.'' Bekir has worked as a sculptor in Rome and Milan. He travelled across Italy to work for clients but then moved to Palermo, where he has become famous within the Tunisian community for his many interior decorations, from large restaurants to private apartments, where he creates his art according to the specific setting. He also designs for the poor and migrants hosted by missionary Biagio Conte at a community where he has been working for over 16 years. During Pope Francis' visit to the community in Via Decollati, he painted for the local church of the Mission eight paintings depicting the life of Jesus and scenes from the Gospel. 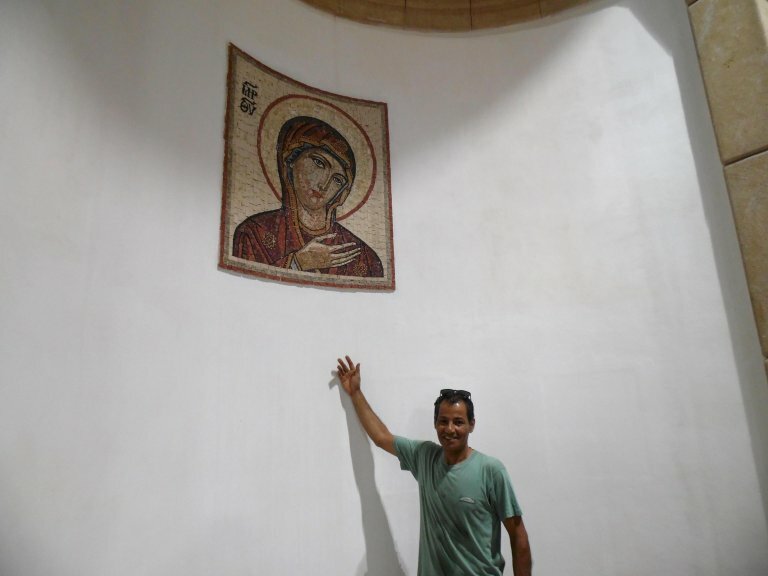 Over the last few months, Bekir has helped the disabled in Comiso to assemble pieces of a mosaic on the central altar of the church.There are scenes of Jesus and the Virgin Mary, of the Genesis with Abraham as well as Father Pino Puglisi, the late parish priest of the Brancaccio local district, who was killed by the Mafia.